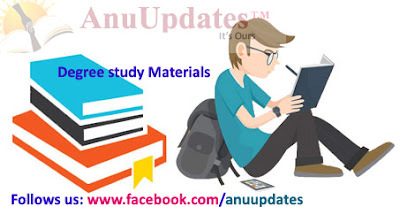 ANU UG B.Sc / B.Com (CA) 5th Sem DBMS Material: Nagarjuna university degree materials for b.sc and b.com. Here you can download database management system 5th sem material. you can also get important questions, guess papers, syllabus, e-books ext.. for all latest updates please follow us on Facebook. Here is Degree 5th sem DBMS material for B.Sc / B.Com (CA) prepared by Vamsi Krishna, Lecturer in computers, Vasavi degree college, NRT.